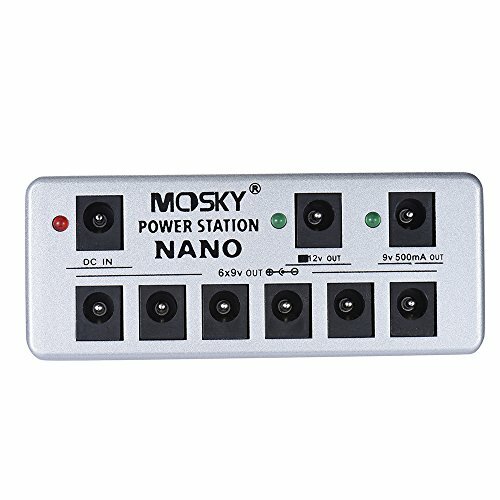 Power supply for guitar effects. With 8 isolated DC outputs: 7 * 9V and 1 * 12V. Mini size and lightweight, easy to carry and store. Made of high-quality zinc-aluminium alloy, durable and sturdy. Comes with power adapter and power cables.